Microgaming Reveals Diverse Content at London ICE 2019! 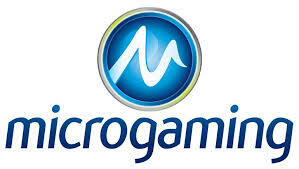 After an exceptional year of remarkable growth, Microgaming (MG) reveals that this year is going to be much bigger! Not only did they verbally make this clear, but they also demonstrated it at the 2019 London ICE. With that said, they showcased a vibrant line up of new titles and revitalised favourites! Not to mention, they also showcased six leading game studios at their stand, all on a mission to develop signature content for MG customers. For three days in a row, attendees were able to immerse themselves while checking out all the new premium content and exclusive games. So, let’s rewind back to the event! It all began way back in the ’70s, well not really, but the new disco-infused Village People online slot game will definitely take you back into time! The game is one of the latest developments by Fortune Factory Studios, which exclusively developed this hit for MG customers. Also, Stormcraft Studios revealed their next game, Agent Jane Blonde Returns. Which, is now the second game ever created by Stormcraft. Plus, Shogun of Time by Just for the Win caught a lot of attention. Furthermore, the Lara Croft slot game created by Triple Edge was another huge success! Not to mention, Banana Odyssey by Slingshot Studios & Blackjack by Switch both captivated everyone attention. So without a doubt, this year’s ICE event was a big success for MG and their content creators! After revealing the next game for 2019, Microgaming revved up the event with live performances and a DJ! Truthfully, they brought a lot of positive energy to this year’s event. In fact, it’s amazing how they were able to bring so many people together at once. At the same time, they kept it clean by promoting their longstanding CSR programme. Which, had its own eco-friendly stand. So by all means, MG completely took advantage of this opportunity and gained a lot of respect in the process! Now that ICE is a wrap; it’s going to be exciting to witness what kind of year MG is going to have going forward!